This entry was posted in de la salle, St Joseph's and tagged Brother James, Brother Kevin, Brother Solomon, Catholic abuse, Christian Brothers, de la salle by Pat Mills. Bookmark the permalink. Mr Andrew was quite eccentric and sometimes said things for effect. He was, however, a very good teacher and very kind to me. When I returned to the school a few years ago he seemed very popular with current pupils. I attended St Joseph’s College from 86 – 90. I was at the school when David Hennesy became headmaster, he was a very relaxed guy and I liked him a lot. After our GCSE’s a few of us got our ears pierced – stupid, but hey we were crazy teenagers. We were in Birkfield house, Tony Hardy was the housemaster. He was a well known drinker and had a ferocious temper. After being told to take our ear rings out which we ignored as we were so close to school holidays we thought nothing more of it. One night Hardy had been out at a BBQ and came back after lights out, he pulled me and the other lads who had pierced their ears out of bed and made us stand in the corners of his living room. We were made to stand there when he went on a screaming rampage around the house. He came back to his quarters where we were all waiting frankly sh*tting ourselves. One by one he called each of the lads into his bedroom where he gave them all slippers. He then made me stand in a cupboard which he locked me in and then again went on another rampage around the house, when he came back hen made me stand in his bedroom drop my pyjama bottoms and then took a cat-o-nine tails out of his draw. He lashed me about 10 – 12 times with it till I was bleeding. The next morning when in the showers the other lads saw the state of what had happened to me and they took me to see Mr Hennesy, when we explained what happened he sent us to his cottage on the grounds and Hardy was got rid of that day. My parents were dealt with by the school’s solicitors and unbelievably agreed that as long as he never taught there again, wouldn’t involve the Police. I have never forgotten that incident, its stayed with me for years, I wasn’t a brilliant student at St Joseph’s, in fact, I was very lazy but that incident turned me off school completely. I also remember the Brothers, Peter I seem to remember having a violent temper. I did have some laughs at the school but that last incident scarred me. So sorry to hear that, CS. It would be nice to think the school had changed by the nineties, but clearly not. I recall a friend of mine who was a psychotherapist telling me in 1992 he saw some disturbed youngsters from St J’s and – without breaking any confidences – he told me he recommended that their cure was to leave the school which he saw as an unhealthy institution. The cat o nine is still on sale today and is still used for judicial punishments in some Commonwealth countries. It must have been illegal when Tony Hardy used it and he would have known that. This suggests he bought it illegally with the deliberate intention of using it to commit criminal offences. The birch was discontinued at Eton in the sixties and in the Isle of Man by the late seventies. Ten or twelve strokes with the birch was a typical, humiliating and very brutal punishment. Not to mention physically dangerous to growing children for all sort of obvious reasons. By comparison, the cat o nine is far, far worse. I think it was used in prisons possibly through to the nineteen forties and was regarded by prisoners as an instrument of terror. Every school will potentially attract the odd bad apple, the odd psychopath, but St J’s clearly has far more than its share as a look over these pages proves. So the question has to be asked – why? I would say it’s because the corruption, brutality and evil starts at the top and “trickles down”, attracting these kind of sick individuals who believe they can get away with it and generally do. That’s how it works in most organisations: “the boss” sets the tone and the employees generally imitate the boss. These posts show only a percentage of the more provable cases. Many old boys prefer to forget the trauma, but that’s not actually possible. It’s unhealthy to bury it: far better to find a way to let it go. I suspect there are many more old boys who may come forward in time, and describe similar events. Meanwhile, the current regime at St J’s is clearly proud of its past and it continues “In the Lasallian Tradition” without ever acknowledging and regretting the pain and misery “The Lasallian Tradition” caused so many children, many of whom were not as lucky as us and didn’t survive it. I have just stumbled upon this site and certain things have suddenly clicked into place. I have read the very disturbing testimony of CS and wanted to share my own experience. I studied at St Joseph’s College, Ipswich, from 1986 to 1991 and was never terribly happy there. I was a boarder and found the level of negligence really upsetting. A particularly bad experience occurred early in 1988 when I was half-way through my second year (year 8) and Tony Hardie (spelling?) was my housemaster. One Saturday afternoon, the 15 or so boys who shared a dorm were sitting around playing cassettes and watching Going live or some such on various portable TVs. Tony came into the dorm and started screaming at us, telling us we were feeble and pathetic for not being outside and embracing nature (even though it was raining). I had suddenly gone down with terrible flu, the sort where all your bones ache and you are basically bedridden. On seeing me lying there in my pyjamas, he started screaming hysterically and said I needed to get up and do some exercise. I told him I felt too ill. At that point, he leant over me and told me to get into my PE kit. I was so scared, I obeyed unquestioningly. He then took me to the running track outside Birkfield House and made me do a cross-country run. I felt like death but ran for a few kilometres anyway, scared of not obeying him. The rest of the weekend passed with me having to pretend not to be ill, even though I was really weak, not helped by the enforced run. On Monday morning, i went to the matron, Mrs Cockayne, who took one look at me and stuck me in the sanatorium. What happened next is hard to decipher but I think, in retrospect, there were several people, willing me to blab about Hardie’s madness. One of my boarding friends who was in the same form as me told our form teacher, Paul Malone, what had happened. Mr Malone, essentially a really good, decent person, was concerned about my wellbeing and came to see me in his free period. I was quite embarrassed and tried to play down the incident but I think he was trying to get me to elucidate the weirdness of the whole situation. After a few days I recovered and actually got a half-hearted apology from Mr Hardie who I sensed had been leant on by someone who had said: “Look, you are in loco parentis, get a grip.”. Anyway, after that, the incident was never mentioned again and I never told my parents who would have gone mad and demanded a full explanation. I feel bad now, given CS’s experience which must have happened about a year later when Hardie had been put in charge of the fifth-form boarders (and I, as a third year, had moved to Goldrood, under the rather ineffectual eye of Paul ‘Bully’ Begg).If I had made a fuss, there is no doubt that Hardie would have been removed, or at least reprimanded before he had wilded that cat o’nine tails. I remember him drunk on several occasions, although I didn’t smell booze on him when he decided I was malingering. I am now 44 and the more I relate my boarding experiences at St Jo’s to friends, the more I am told that what happened was not normal. I suspect other things went on there in the boarding set-up – all those favourites who were given special tasks and so on – but I have no proof. I believe the day school was pretty functional, though, and under the aegis of David Hennessy, it became a well respected establishment. If only someone had taken the trouble to scrutinise the boarding houses, though. Great Blog! Absolute respect to you…! Just FYI: Brother Solomon/Mike Mercado was housemaster of Goldrood House in St Jo’s Birkfield where I was a Boarder. He was an Arrogant Individual and during my time, he played Favourites with a group of English Boys whom seemed to be quite chummy with him. I think by then he had mellowed, though he used to like spanking some boys over the knee and we all knew of this… He would announce over the P.A System some evenings during our scheduled ‘ study sessions’ for some boys to report to him in PT Shorts…. This meant they were going to get a caning… You would ‘Qualify’ for a caning if caught smoking or for whatever he deemed deserving of this…. could just be for trying to sneak in the front door of Goldtood House and he was in a bad mood! I have to point out that the Brother Director, Brother Damian, was quick to react and remove him,and he became the new stand-in housemaster for Goldrood House and He was truly Amazing! Even Canings were Abolished under him! I believe he will be one of the few Brothers who actually made it to Heaven! Brother Damian, I will always Appreciate the amazing kindness you showed me and the impact you had on my life! May God Bless him, and thank you, Pat Mills for sharing and having the courage to post this blog! Apologies= Mistake- Summer term 1085. I was at the end of my 4th form then when he was told to leave! I was at Oak Hill and Birkfield in the fifties. I left in 1959. While I was there a scandal hit the national papers. It concerned a lay teacher at Birkfield who ran off with one of the boys. This individual was a religious fanatic and started a sodality for prayer meetings. He groomed the boys this way and selected his favourites. Eventually, having selected his primary victim he ran off with the boy (without parental permission, of course) and they toured the continent together visiting Catholic shrines like Fatima. How a passport for the boy was arranged, I do not know. Anyway, the scandal was front-page news because Interpol had to track the couple down. I know the culprit was arrested but being naive at the time, I didn’t take much notice. But my father noticed and took me away from the school at the end of the Easter term in 1959. I then went to St Bonaventure’s School in Forest Gate London: an excellent place where I made lifelong friends and where I got my A-levels and went off to university. Does anyone remember this scandal? Can anyone supply the names and other details. My memory is hazy about the affair. Sorry not so eloquent as previous writers. 1958 to 64 Oak hill and Birkfield. Hi Patrick, Its been a very long time. Last time I saw you was at the top of St Pauls and I was too shy to say hello. Sorry about that. I am a survivor of the violence and abuse, but only just. 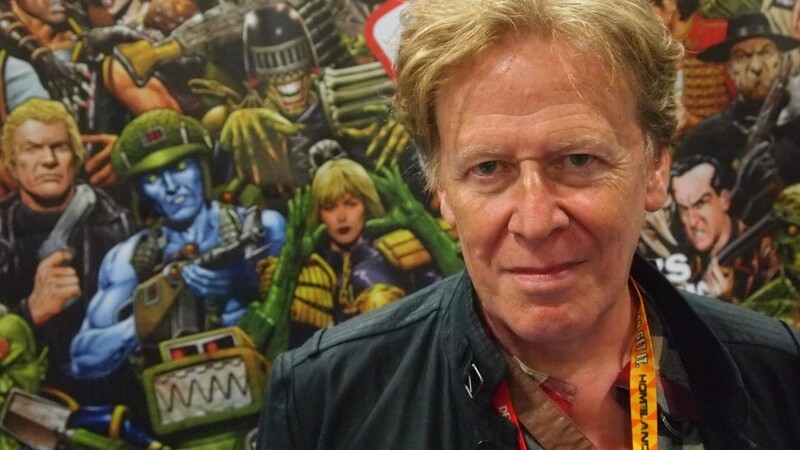 I didn’t know how to get into the blog so emailed Pat Mills. He can paste it here if he wishes. Has anyone actually attempted to engage SJC in a dialogue around what the Lasallian Tradition has meant to so many kids? Are they aware of the Roll of Dishonour? It will only have an effect if it is publicised.. You may only stumble across it if you are a Judge Dredd fan (I’m not – no offence Pat 🙂 ) or if you are sent a link. I am not at all surprised by the Brothers remaining Schtum – it’s led by Bro Laurence Hughes, an emotional and physical abuser of the highest order in my opinion, who was House Master of the 2nd and 3rd year boarders in the early to mid 80s. My general experience of school between 1975 and probably 1984 (when I turned 16) was that fear was the controller and the incentiviser. The school’s rugby tradition with its masculine and patriarchal influence may only served to aid and abet this rule by fear. Many might disagree I know but the structure and culture of a school are fundamental to overcoming resistance (a precondition, as Finklehor describes, to sexual abuse). I do wonder, however, whether a more restorative approach to this matter might be more constructive. Thanks,FK. You make some interesting points. Especially about fear. If it was like that in your day, imagine what it was like for earlier generations, like mine. The site has generated a lot of traffic and I’ve put several old boys directly in touch with each other in pursuit of various RC abusers. The site does come up with search terms outside of comics – otherwise I’d completely agree with you, there would be no point. From reading accounts of others pursuing issues to do with the De La Salle brothers, I think the college’s reaction would be predictable. In the past I have contacted the Catholic diocese and I wasn’t impressed with their response, so I’m pretty certain how the college is likely to respond today, despite their “right-on” image. For me personally, I have one key objection: to St J’s describing itself as “In the La Sallian tradition” which means something very negative for myself and many others. It really should be removed. I doubt they’ll ever take those words down – but perhaps if the number of old boys recording criminal assaults is sufficient it’s possible they would change their minds. I think when that day comes I might consider approaching them. If they removed those words I would, indeed, see that as constructive. As far as the Roll of Dishonour as a whole is considered, that would be a matter for the order of brothers. They are endlessly in the news with prosecutions for past abuse, and – based on past responses – once again I think their negative reaction would be predictable. I don’t want to waste my time on them and I don’t, myself, want restoration with organisations that protect past abusers or ignore the abused. I wish there were better and more hard-hitting ways of dealing with these people and the whole clerical apparatus, but I feel my blog is a step in the right direction. I also feel there should be many more blogs on this subject, because physical and sexual abuse was endemic in the UK Catholic community in my era. St J’s was not an isolated case. Thanks again for your very vivid description of life at St J’s. I hadn’t made the connection that the overall overly-patriarchal and fear-inducing culture of a school creates an environment in which abusers can flourish. Thanks for making that really valuable point. Thanks Pat for your prompt response. I understand your scepticism regarding SJC’s potential response to a criticism of The Lasallian Tradition being a focal point of it’s marketing strategy. But again I ask whether or not we know if they have been challenged on this in light of the convictions of some brothers and the experiences of a great many ‘old boys’ (we are never allowed to grow up) who were consistently physically, sexually and emotional abused during a hey-day era for the ‘La Sallian Tradition’? It’s worth investigating. Of course if victims of the crimes of De La Salle Brothers can be supported to make complaints and press for prosecutions then so much the better. I would be willing to support ex-victims in any way I can. I trained as a social worker and now specialise in assessing risk in sexual (and domestic) abuse cases so I would argue I have some insight and understanding into the impact on abuse on children and could at least signpost if not provide some level of moral support. I feel very strongly about this issue as you might be able to tell. Thanks, FK. You’ve persuaded me! I want to give my letter to SJC and possible follow-ups the time it deserves, so I need to get my latest book up and away first (launching in early Feb). Then I will write to them. It will be interesting to see what their response will be. Will definitely keep everyone posted. Thanks, Marcus. That makes sense. I’m sure his time in South Africa in that era – the lack of respect for people – just made him worse. My recollections of him are quite awful. One more point – one of the teachers I just couldn’t work with was Mr Kearney – he was an aggressive South African who again picked on us non-white students more than anyone – apartheid was alive and kicking in his (and Mr Andrews) classes. He was clearly a survivor from when it was ok to be a racist bully in the classroom. An example would be when I was in the third year (year 9). I was being cautious with chemicals and test tubes. He picked up the tube and put it against my skin, which burnt my skin – he defended himself by saying that if I can put it on the table then I can put it on my skin. It was ONLY because of him I didn’t take Chemistry as an option (I did take Physics and Biology), it’s a pity as it stopped me from taking science options at university (although Computer Science was my first choice anyway). Thanks for this, Marcus. I think Kearney was Irish, but I certainly found him most unpleasant myself and his ad-hoc punishments, not recorded in the punishment book, were notorious. I believe they now have a chemistry award in his honour. The school’s connection with its dark past is still clearly there. I think it’s shocking that they still claim their school is “In the La Sallian tradition’ because that is what it means. Thanks for the reply. I think he was Irish but spent a lot of time in South Africa. I remember him talking about learning Afrikaans with his knowledge of German and English and the similarity to Dutch. Thanks, Michael – really appreciate you sending the link. I’ve seen it several times before but watched it again just now and it still moved me. This man is a great spokesperson and a great survivor. Ireland has, at least, partly acknowledged what its clerics have done. So, too, has Australia and the United States, with films like Spotlight. Britain’s Catholic clerics and the De La Salle order still have a long way to go, but their turn will come. It would be so much better if they acknowledged their past and what their order has done to children – which is the point this brave man makes – rather than have to be fetched. And if that is something their insurers don’t recommend these men of God do, well – there’s always the Roll of Dishonour. I went to SJC in the 80s. While a lot had been cleaned up, the echoes from the past were there – if you listened to them. While there was no concept that abuse was continuing to the extent detailed here, there were still some of the old De La Salle brothers who behaved erratically (and some very pleasant younger recruits). Some of the none-De La Salle teachers were emotionally manipulative and, in the case of Mr Andrews, incredibly racist. I remember him (during an RE class) explaining that the majority of crime in the UK was due to allowing blacks to migrate. He would walk around the school with his graduation robe with a Kenneth Williams style plummy accent, he was intimidating. These days he would fail an inspection due to lack of rapport and poor discipline. I also remember the crazy Technical Drawing teacher – Mr Taylor – he would use the threat of violence to keep the class under tight control – a very poor teacher as he didn’t build a rapport, he just wanted to be totally in control (he was also guilty of numerous jokes that made nobody laugh at, or rather they never laughed WITH him). His colleague in woodwork (I forget his name) has a ridiculously short fuse and exploded at random pupils (maybe just because I was an Asian student I noticed this more, but it did seem to be directed at the non-white students). The latter two were quietly replaced/retired, but I’d been put of the subjects for life. There were others – mostly control freaks – I forget the name of another one (selective memory? ), he had a glass eye, he asked a question in class “what’s the capital of Louisiana”, I replied “Baton Rouge”, he corrected to “New Orleans”, I pointed out that New Orleans is the largest city but Baton Rouge was the administrative capital (I never shared this but I had an older brother at Louisiana State University and he had told me a lot about the area) but he then chastised me and froze me out of classes. His teaching style was total silence, copy from the board – he would write things and we were expected to copy into our books (which was often difficult as his body wasn’t transparent). He would set long reading periods from our books while he would meticulously clear the black board into very tidy lines – obviously a board looking like a zebra was more important than sharing knowledge. Another teacher who thought intimidation was more important than rapport. It did seem almost half of the teaching staff were there because they would be totally unemployable elsewhere. A lot of control freaks and some who were just odd (Mrs Buck, she moved over from St Marks and treated everyone like they were Kindergarten kids, however she was a good Geography teacher). While on the subject I will shout out some of the better teachers – Mr Davies for English – largely my inspiration for becoming an English teacher myself, Mrs Warren – made me interested in Physics to the extent I took a year at university before realising it wasn’t the subject for me, Mr Hunter – while a disciplinarian he was approachable and he looked after me when my father died (however he was a bit of a bully when teaching sport, when teaching other subjects he loosened up – I had problems with sport due to a physical disability that wasn’t diagnosed until much later), Mr Bevan – a friendly face in PE as he encouraged without bullying, Mr Langley – a very laid back American computer science teacher who always had a dirty tie and a few others. Changes were happening but they were happening slowly. There was a mix from the old style and new. When Brother David took over the school and withdrew from De La Salle and became Mr David Hennesy changes were rapid. This was during my time there and the clear out made a big difference (although Mr Andrews hung around like a bad smell). Most of the creepy monks left or retired (Brother Cuthman [another DLS monk who acted weird, slightly racist but nothing we could really pin on him] actually looked like the grim reaper by the time he left, he was nicknamed Brother Fluff as he kept on falling asleep while teaching and students were asking each other if he’d ‘fluffed it’) and had been replaced by a stronger team of teachers who had actually been trained in how to teach rather than dictate. By the time I left in the early 90s things had really changed. As I am someone currently attending st jos, i find this all terribly interesting. This is probably because of who the teacher mellowed throughout out the years. If the School back then was half as bad as you say, then today it’s an amazing place. One thing I find really odd is hearing a list of teacher who weren’t very nice, mixed in with some teacher who have taught me recently. E.g Mr Twist (who retired at the end of that year, but came be for a few weeks while a science teacher was ill) he is an incredibly funny man. There is also Mr Andrew ( who retired just be for Christmas after 100 terms at the school) to hear that he would fail an inspection because of a lack of discipline is nonsense. If there was ever a teacher at st jos that could keep a room silent, it was him. One thing he used to do was, if we all were talking to much he would take his black board rubber (yes he still had a calk board) and hit on the table witch mad it tern comply white. I was rather shocked to her story’s of abuse at the school (mainly because I think it must have been covered up pretty well) and the descriptions of some of the teachers. Interestingly, when you wrote that comment, in October 2016, Mr Andrew was still teaching at SJC. He finally retired in December 2016, after 33 years’ service. Hopefully his racist views mellowed with age.